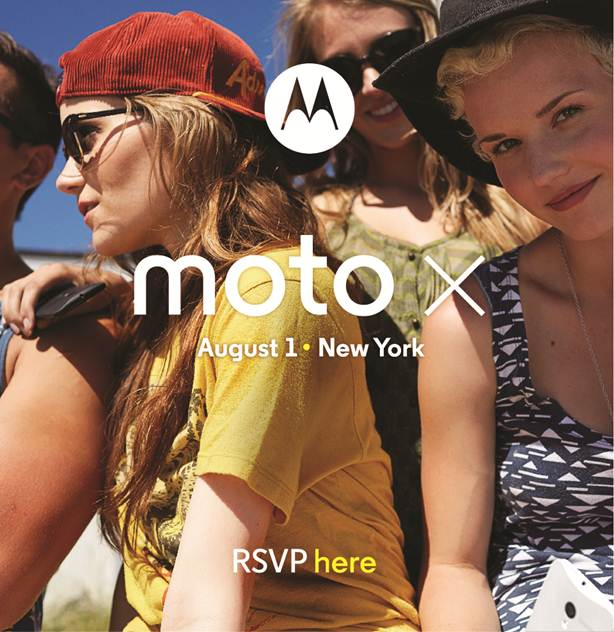 Motorola has just sent out invites for the Moto X announcement. It's going down in New York on August 1st. Months of rumors and leaks have led to this. Are you excited? 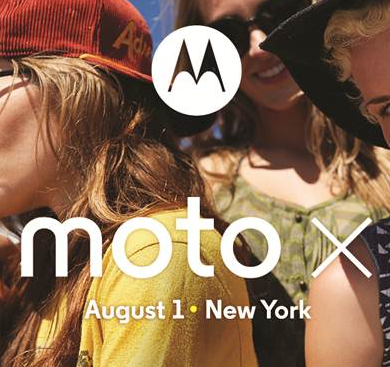 This will be the first truly Google-blessed smartphone from Motorola since the acquisition. The device is rumored to have specs a bit under the top-of-the-line flagship devices, but some unique features could be included to make up for that. Funky colors may also be on the docket. If you'll notice the shape of the phones in the image, they match the device Eric Schmidt was seen using, so confirmed on that front. The news should drop on the front page August 1st at about 3PM Eastern. Be there or be square.